2 Bedroom End of Terrace House For Sale in Rotherham for Offers in the region of £130,000. STUNNING FAMILY HOME! TWO BED PLUS STUDY! Impressive kitchen, well presented, garden room and GARAGE! This superb property has been lovingly upgraded to offer well-appointed and spacious family accommodation. Situated in this sought after location viewing is a must to avoid disappointment. 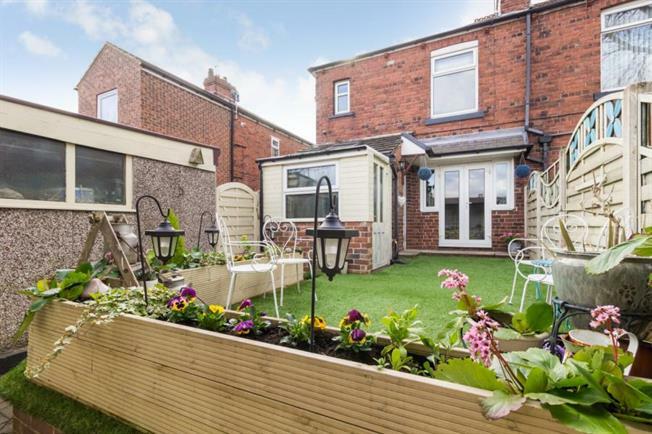 This two double bedroom, plus study / nursery end terrace home has the benefit of a separate dining room and additional garden room and garage. The property gives access to local amenities, public transport links, local schools and the M1 motorway and M18 network. In brief the property comprises on entrance hall with origional restored tiled floor and stairs to first floor landing. Ground floor offers a bay windowed lounge with window seat and feature fireplace, a dining room with French doors to rear garden and an exposed brick fireplace. Inner lobby with pantry and access to kitchen fitted with shaker style wall and base units. First floor landing leads to two double bedrooms, a study/nursery and a family bathroom with white three piece suite including Jacuzzi style bath. Outside there is a forecourt garden to the front. To the rear an enclosed garden with artificial grass, a potting shed and a garden room which leads to the single garage. VIEWING A MUST.